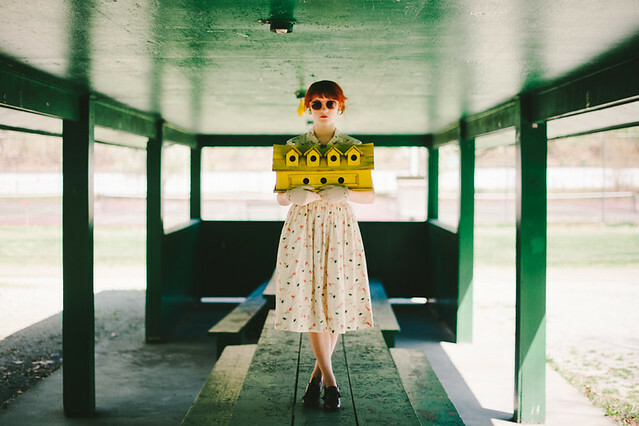 Today we have a conversation with Austin photographer and social-media rockstar Lotus Carroll whose prolific work covers a wide variety of styles and subjects. A self-proclaimed dreamer and explorer, Lotus is also a mother, runner and blogger at I Am Lotus. She believes that survival requires humor… and wine. With more than 1.6 million followers on the web, she shares her art every day across many social media platforms. Former cohost of Photo Talk Plus and current co-organizer for Drink and Click™, Lotus also finds time to produce art, garden, and raise a super-active, little boy. She lives to create and express, and is unapologetic about who she is, warts and all – what you see is what you get. Passion leads her heart and her life. I’ve had cameras of one sort or another my whole life – toy camera, plastic film camera, film SLR, and then onto digital in my early 20s. I started with point-and-shoots until I received my first DSLR in March 2011. I’ve always created photos and art of some kind, however, earlier in life I didn’t focus on photography as much as I have in the past 2-4 years. My processing skills, especially, have grown over the past 2 years. Since then, my life-long drive to create has settled into photography as my favorite medium and has become my primary artistic and expressive outlet. I think that when people ask a photographer this question about style, they’re usually thinking of something you can see or recognize when you a view that person’s body of work – like a certain color grading or something. In that sense, my style is incredibly eclectic and varied and I kind of like it that way! I use many different processing styles and techniques in my photos from one to another. I think that if you consider my style to be a thread that runs through most of my work, though, it would be evoking emotion. I’m not overly interested in someone being able to view my work and know that it’s a “Lotus Carroll,” rather, I would really dig knowing that they viewed it and had some kind of meaningful emotional reaction. One thing that strikes me about your work is your use of color. There’s often a rich abundance of experimental use of color or a concerted decision to desaturate. What guides your decisions while editing? By and large, my emotions guide all of my processing decisions – sometimes my processing is colored by something evoked by the photo itself – a sense of time, a memory or feeling. Other times, the mood I am in right then while processing guides the story, and ultimately, my choice of color. Each photo has something in it that turns on something inside of me, and in that way, tells me what to do with it. Of course, concept shoots have an emotional root from the very beginning, as I set out to create something specific. My hope is that, in turn, my processing choices, color and otherwise, will evoke something in the viewer. This may not always be what I intended, which is part of the fun, really. It’s a process from creating to sharing and getting feedback, and I enjoy it all. What message are you trying to convey with your photos? I think it really depends on the photo. Sometimes I’m interested mostly in documenting the world around me or capturing something beautiful or amazing in a moment that will change; other times I am driven to capture something mundane in such a way that it is transformed into something fascinating. Still other times, I’m setting up a scene based on an idea I had. And so the message and type of photo will change, but I think that I’m always interested in getting some kind of emotional response. I’m very interested in human emotion and connecting with others around that. I have two degrees in psychology, in fact, and so this is really not all that surprising. So, with my art, I seem to always be playing with both specific, personal emotions, as well as exploring the concept of universal human emotions. In looking through my body of work, you’ll likely find very strong examples of joy, hope, fear, heartache, tragedy, humor, sexuality, anger and more. I enjoy the process of creating this art in a therapeutic sense, and then I enjoy releasing it to others to see what effect it has on them. This is a big reason why I love sharing my work with such a broad range of people online – if I’m lucky, they will leave comments and give me an insight into what my work made them feel. That is very fulfilling, and sometimes delightfully intriguing. I am most inspired by people who are passionate, kind and live with meaning. I love it when others have a heart and soul driven to create, grow, and share. I’ve been lucky to meet a lot of people like that over the years both online and off, and they’ve helped me learn and grow for the better. How does being a creative Mom impact your work? Whoa, what a loaded question! Haha. I think that being a mom presents a lot of challenges, actually, because of the necessary constraints to time and the inability to make certain commitments to your work that may require travel, etc. (my wandering and free spirit has a hard time with this). What is your current favorite photograph and why? You share your work in a variety of social media outlets. How have these communities helped you grow as a photographer? I think that sharing online informs your work in a few different ways. First, if you want to share high quality content consistently over time, well… you have to keep producing it! And so being active in social media serves as a continuing challenge to keep making great work to present to others. Two other things I feel that I have really benefited from involves, for lack of a better term, feeding off of other creatives. First, I kind of obsessively consume art online. I do this in a variety of places, mostly Flickr, but also on Google+, Facebook and elsewhere. I can spend hours going through the photo streams, news feeds, groups, and individual profiles just staring at photo after photo, taking it all in. You can often see my footprint because I like to “fave” (+1, like, etc.) as I go. I enjoy doing this because it’s fun, it spreads good cheer (yes, I’m a dork) and it broadens my creative eye – there are so many amazing, talented people out there with ideas and skills I don’t have, and I love viewing their work and learning from them. It makes my mind stretch and keeps me thinking of new ideas. Additionally, these communities have facilitated meetings and experiences with other creatives “in real life” which is an incredible and energizing benefit to interaction in social media. Whenever I am around other highly motivated, passionate creators, I can feel my creative energy rise and renew itself. It’s like a high that will help me keep making great art! You take a lot of self-portraits. What does self-portraiture mean to you and why do you do it? Well, when I first started taking photos of myself, the main reason was because nobody else was doing it. I looked over all the photos I had and I noticed that I was kind of telling the story of my life and those around me… but I wasn’t “in” the story. I’d had purple hair at one point in college and there were no photos of it later! So I started taking photos of myself. At first, it felt, well, kind of weird. People can be awfully judgmental of others taking self portraits, often saying it’s “narcissistic” or “self centered.” I think that misses the mark, and is incredibly shortsighted. Self Portraiture is an expressive art form. Besides, there is nothing wrong with putting personal focus on yourself and being okay with and happy to present who you are to others (physically and otherwise). Over time my self portraits have grown beyond a way to include myself in the story of my life and have become a way to express myself, which has been incredibly therapeutic. I can portray emotions, feelings, experiences, and opinions with my own body in so many different ways. Additionally, I enjoy the challenge of being on both sides of the camera “at the same time.” This presents some unique problem solving opportunities that I believe actually increase my skill in doing other portrait work and photography in general. Any special projects you’re working on right now? 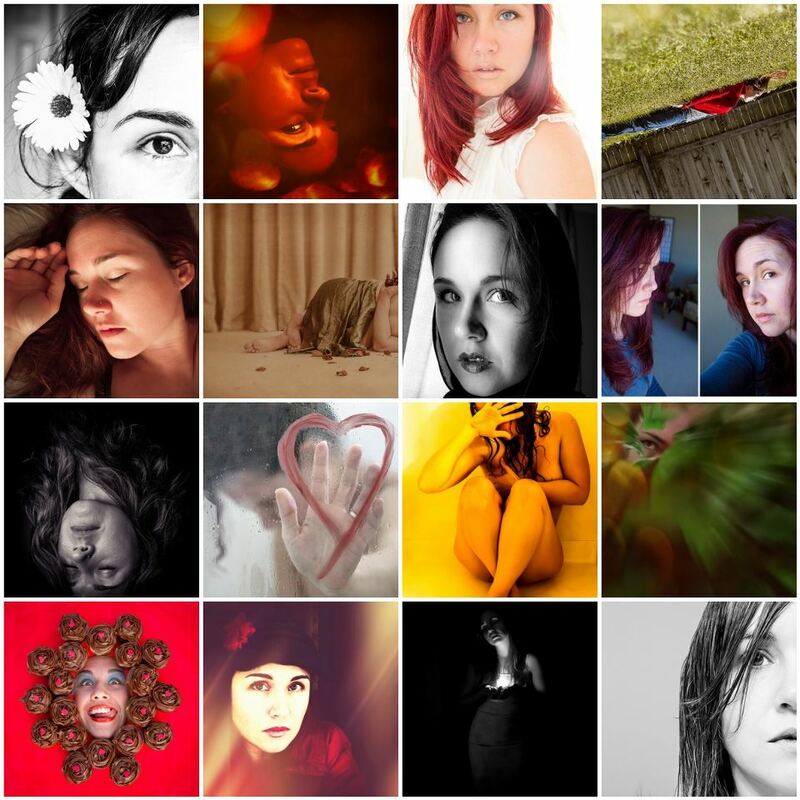 Yes, actually, I’ve been working on a Self Portraiture Community on Google+ this year. Jeff Smith, who founded the popular #SelfySunday Theme, and I created this Community and are helped by 14 talented and interactive photographers who moderate and create content. We’ve been inviting people to share their self portraits, urging them to try out things like 52/365 Projects, and challenging them to try new things and grow with us. The Bi-Weekly Selfy Sunday is still in effect – sometimes a “Free” Shoot and sometimes with a Theme. Additionally, every month we post a Tutorial aimed at improving self portraiture with a tie in Challenge Event. We have great sponsors (SmugMug, Think Tank Photo, and Capturing Couture, so far) and have been working really hard to make it a fun and informative experience for everyone. Somewhat related, I’ve taken on a 52 Self Portraits Project this year so that I remember to take a brand new self portrait every week. I decided that I wanted to do something specific with it, so I’m creating each portrait to match a quote I find interesting. I’ve got a set of these on Flickr. I’ve also been involved with the Drink and Click™ Organization founded by Juan Gonzalez for some time now. I co-lead the Austin Chapter and help with marketing, as well as organizing and promoting all US Chapters. We’re basically a pub-crawl/photowalk hybrid. Our emphasis is on having fun and hanging out while taking photographs. So we meet at a venue, take photos, talk and laugh together over drinks or food, and then move to one or two more venues, continuing as we go. It is such a great time and everyone really enjoys it. We also have a monthly, themed challenge (for example, April’s theme was “architecture”) with prizes going to the best photos. We have chapters in the US as well as abroad, and are growing every day! X-Ray Vision! I’m a total pervert. Hehe. Actually, I’ve always said that my superpower is Intuition, but I’d really just like to fly… though nowadays, as I age, I think I’d like the power to affect positive change. Definitely that. Or X-Ray Vision. A special thanks to Lotus for being here today on Mortal Muses! Thank you so much, Barbara! I appreciate that. what a wonderful, jampacked full of good stuff interview. thank you both! Great choice for an interview! I am a Lotus Carroll fan! I enjoy her work and this interview was very good and informative. There is so much to be inspired by, I especially like her self-portrait work. She’s a nice, down to earth, generous person! I enjoyed this very much! Hey, Linda, thanks so much for the kind words! I’m so glad you enjoyed the interview. I particularly loved your words (and images) on how you let emotions guide your processing. That really struck a chord with me. Thank you so much for sharing this post on MM today. Brilliant! an amazing group of images! I love how immense the internet is, because despite her 1.6 million followers, I was introduced to a new artist today. Beautiful photos, Lotus, and meaningful words. I’m now off to explore you on the internet. I love being explored. 😉 Pleased to meet you, Deirdre! Thanks so much for your kind words. Lotus you were one of my firsts 😀 … I always enjoyed your view on I am Lotus in the early days of blogging. I wish our paths would cross more often. I will say you are always so good about spreading the love and the likes, you make sharing sites feel more like a close knit group. PS. and you are right your son and those lashes are adorable! Beautiful rich images, and I love the Death Valley photos – one of my favourite spots on earth. Will definitely be following Lotus. Thank you! Yes, I very much loved Death Valley. I am *definitely* going to be going back there eventually! Such beautiful images and a reveaing interview. Thanks Lotus for sharing. I’m off now to spread some cheer via faves on Flickr! What a beautiful woman! Love when MM helps me find inspiration! And Drink and Click? I need to find a LA chapter! Thank you so much, Staci! Now tell me – are you talking Los Angeles or Louisiana? We have a Los Angeles Chapter that is very active! We live in LA, California. I joined the FB group. Is there a better way to get in touch with that chapter? I told everyone at our film shop yesterday! We can’t wait! Lotus’ shots are nothing if not evocative – such a great interview! How wonderful to see you here with all your treasures! I’ve always loved the emotion behind your work and you’re one beautiful woman! How sweet of you! From calling my work treasures to me beautiful – thank you so much. What a wonderful interview with Lotus! I’ve been a follower of her work for quite a while and it’s so inspiring. I think Lotus was one of the very first people I found as I started sharing photos online. What great insight into her work. Some of my favorite selfies for sure! Katherine, thank you so very much! Lotus… this is great!! I have learned so much from you. Thanks for being amazing and for sharing your awesomeness!!! My Lotus! Love this. Love you. <3 I can't wait to see you in NYC again, babe! We must climb high next time! A wonderful interview! What striking images, Lotus!!! What a joy this was to read; you seem so committed to your work and to be pouring so much passion into it – so inspiring! I adore what you have to say about self portraiture. I have found it to be such an amazing emotional outlet as well. What a great read, thank you Lotus! Isn’t it? I can’t believe I haven’t always been doing this! Thanks so much, Vanessa. PS how can I get a drink n click chapter started in Reno?! Looks like fun. Oh! Reno would be a great place. Can you please send an email indicating your interest and where we can find you online to drinkandclick@gmail.com? We especially would like to see you active on Google+, where we host all our events. Thanks for the interest! I am so inspired by your definition of your style. I sometimes feel “less than” because what I love to do most is experiment all over the place. I have a hard time expressing that without feeling scattered and wishing I had a more singular vision. Inspired to pick up my camera and get out there for the few minutes I have left before school pick up! Your response for why you take self portraits resonated with me in that I had the same revelation that I wasn’t appearing in the world of my photos with my family and my environment . . . So I appreciated that the 52 week project was started. P.S. Vivian has been my favorite as well. Love all l like toget in side your head. Pretty cool, Lotus. Keep up the great work; it’s a pleasure to see. Your pictures are always an inspiration and keep me looking at the world for new possibilites. Exploring your creative mind has been inspiring Lotus.And how you express yourself in your art of photography is emotionally stimulating.You have keen insight into the minds of people and create emotional responses to fire the minds of people with passion,joy,love,sadness……many more.Loved learning more about you reading this interview.Look forward to seeing more of your work in the future. Awesome interview! Thanks again for choosing my photo to feature- it’s a huge honor to me. Looking forward to continuing to be inspired by your work. Beautiful, inspirational interview. Lotus Carroll and the other incredibly talented photographers on G+ have given me true encouragement to freely explore the world of photography. They’ve shown a 50+ year old woman, a new and awesome world that I feel compelled to conquer. And although a mere “newbie,” each day brings more excitement. For this gift of support and enlightenment, I am forever grateful. Thank you, Lotus. hi lotus i wod lik u travel to IRAN for foto .I’M WITH U .i love u.